Since these analog babies are backordered, well, everywhere, I figured it might be a cool idea to post a loop pack for y'all. To keep things useful and interesting, I mixed up the pack with some full grooves, some kick/snare patterns, some hats and some top percussion loops. Everything is 24-bit/44.1 and all loops are two bars long. I even did a bit of multiband compression and limiting, so they're good to go. Also, it's worth mentioning that every loop is 123 BPM, because house. Feel free to follow me on Facebook for more downloads and music stuff. 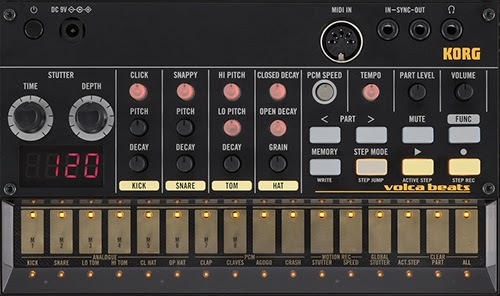 Do you really recommend any of the new Korg devices , you know the Volca series? can you comment on that please.